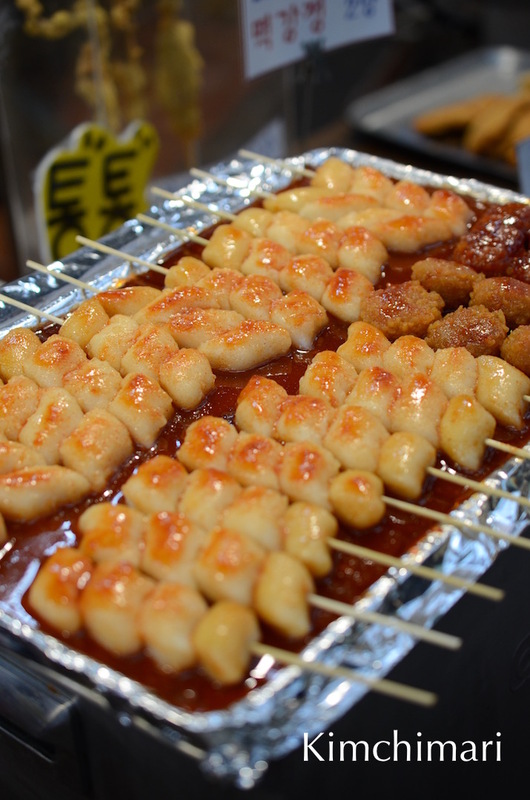 Most recently, some of these specialty shijangs are attracting young crowds and tourists for some of the unique foods they have. 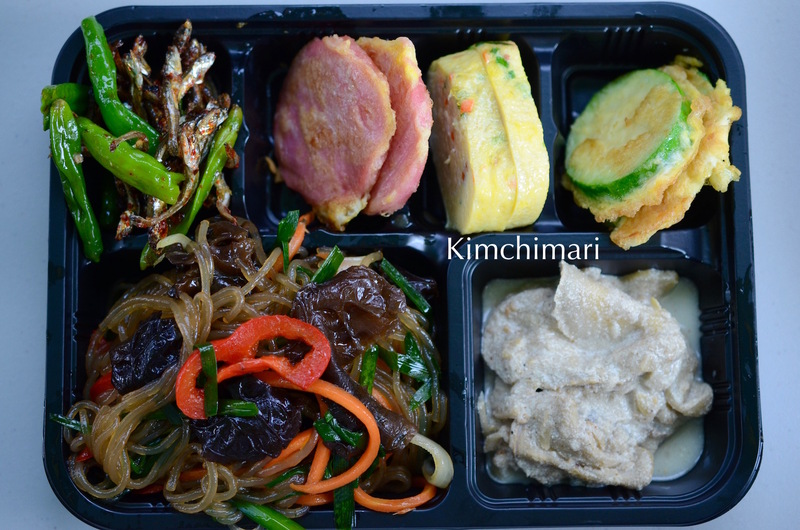 Each shijang has a few famous “must-eat” foods that they are known for – e.g. Kwanjang shijang’s Mayak Kimbap (see my post for making mini mayak kimbap). And for Tongin Shijang (통인 시장) located near Kyungbok palace and Blue House, it is Oil Tteokbokki (기름 떡볶이 Kireum Tteokbokki). 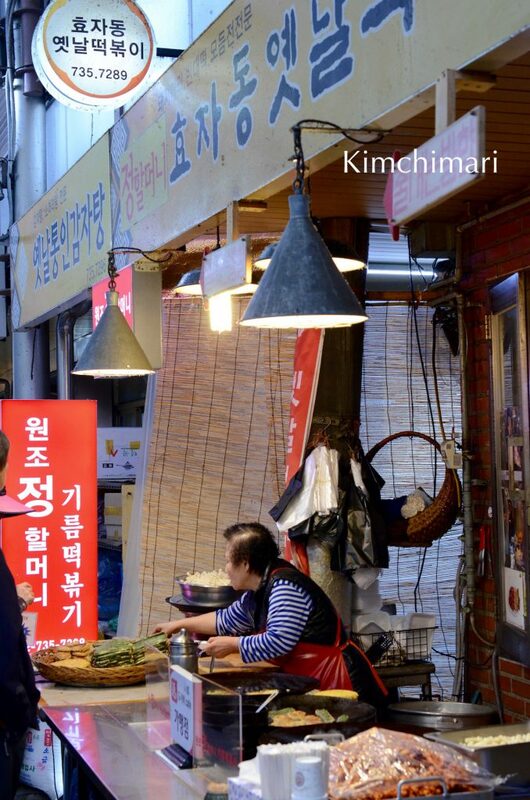 I never heard of Kireum tteobokki before but it came to fame during US Secretary Kerry visit to Seoul in 2014 when he visited this hole-in-the-wall tteokbokki place. The story is that some US Embassy staff went to visit Tongin Shijang (US Embassy in Korea is quite near) and got to taste this Tteokbokki and told the owner the may bring some “friends” back tomorrow. 😉 And the rest as they say is history for this ajuma who has been making this Kireum Tteokbokki since 1985. Unlike the most common spicy tteokbokki that is covered in spicy gochujang sauce made, this tteokbokki has no sauce and is just covered in red chili powder. Very different but surprisingly good…and it’s not as crazy spicy as you might think. I actually made this last night at home and it was a big hit with my husband. I was almost asking myself if I liked this better than the common wet tteokbokki…hmm…hard to say…Well, Kireum Tteokbokki recipe – coming up soon! 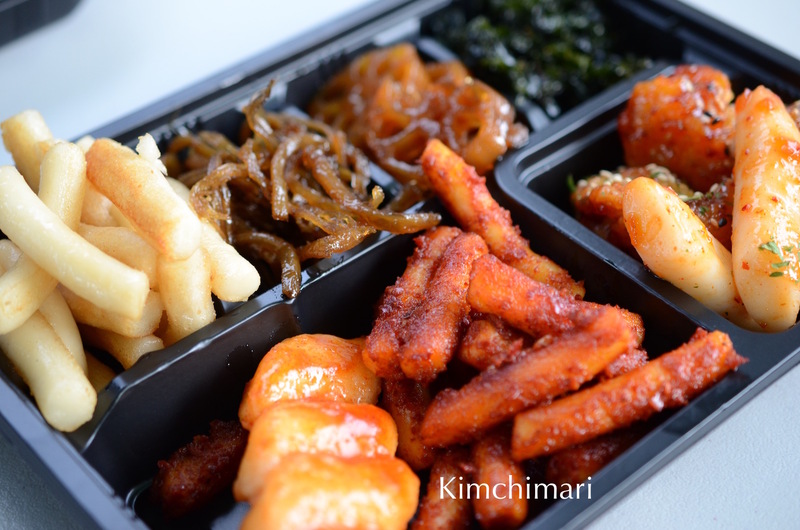 There is also the non-spicy version also called Kanjang Tteokbokki (top left) and is just made from soy sauce and oil. And prob. some sugar. In addition to Kireum Tteokbokki, Tongin shijang is known for their doshirak café – yes, Koreans LOVE to add the word ‘café’ to just about anything. I will soon be writing a post about theme cafés I discovered near Hongik Univ. Dog café, cat café, sheep café, travel café, book café, comic book café..you name it, they may have it…stay tuned for my next post about those. 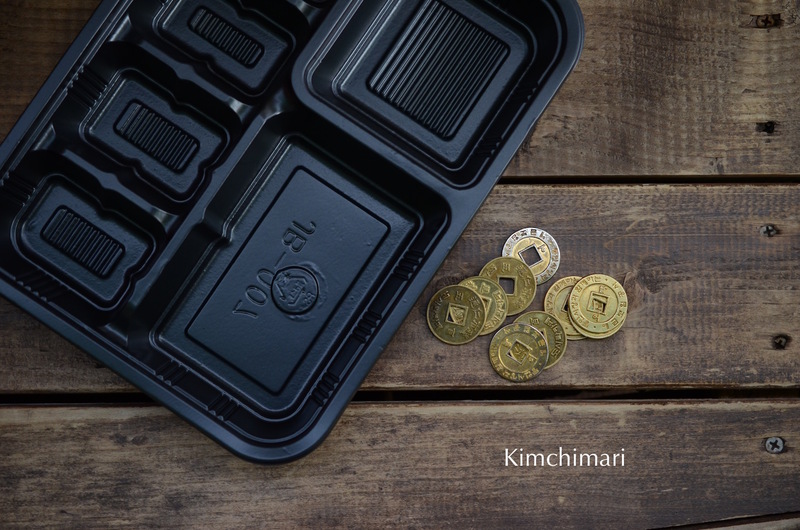 Anyway, Doshirak (lunchbox) Café or Yeopjeon(traditional brass coin) Doshirak are what they are called. It’s a great fun concept that brings past into the present. Yeonjeon (엽전 葉錢) is a Korean’s traditional brass coin that was first made by King Seongjong in 996 AD. People had these on a string and that’s how they carried it around. Eventually they got replaced with the current currency coins in late Chosun dynasty. Just something about holding these coins in your hand as you go about trying to choose your banchan from the different vendors. If you are interested in cute Doshirak/Dosirak ideas – https://dosirakbento.wordpress.com/ has some really cute ideas!! 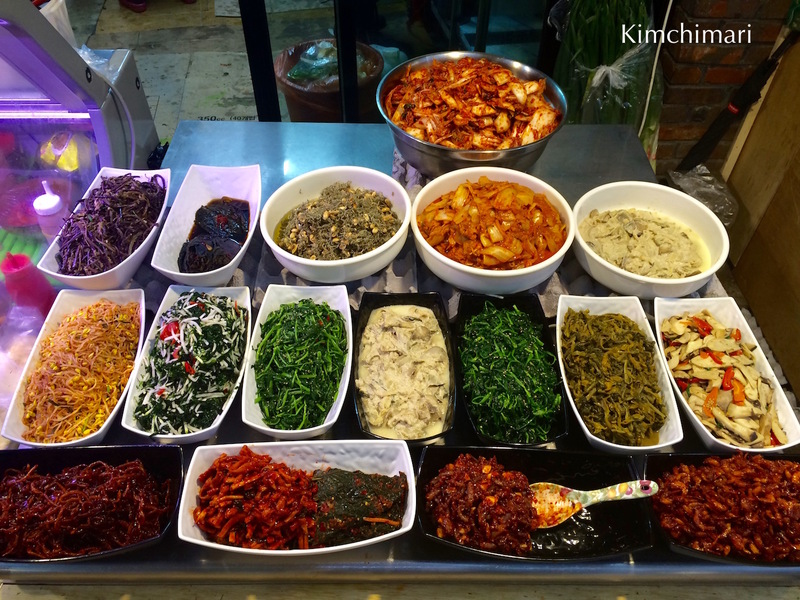 Each yeopjeon allows you to get 1000 won worth of banchan throughout the market. It was so fun!!! Of course, I started out at the Kireum tteokbokki place..
More tteok – tteok kabob – pretty good, nothing special..
And here’s container #1 – hmm.. I ended up with a little too much tteok. Not very good planning on my part. 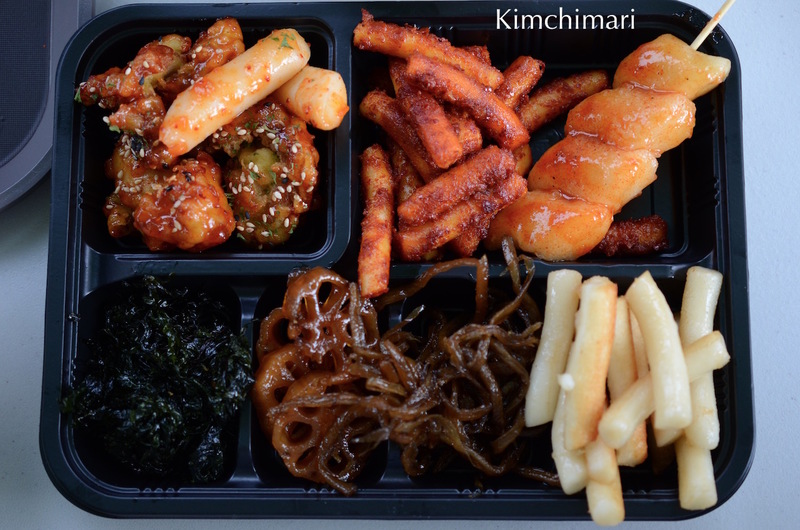 The top left is Dak Kangjeong/Dak Gangjeong (Sweet Fried Chicken) and the bottom left is Parae (Seaweed), yeonkun jorim(lotus roots) and wooweong bokkeum(burdock root). The rest you know..
And then we went upstairs to get rice and soup. And there you go!! Honestly, other than the kireum tteokbokki, there’s nothing special about the banchans but it is just fun to look around and choose what you want to eat. Also a great fun way to try different things without knowing the name but just trying by looks. 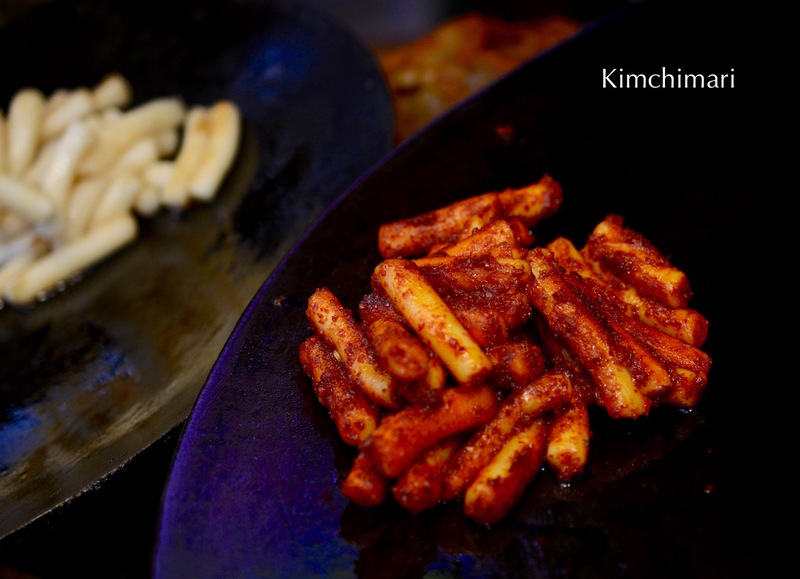 And the tteokbokki, you HAVE to try. IT IS GOOD. Hope you enjoyed a virtual trip with me to the market. Thank you to my friend EJ again for putting up with me throughout the lunch visit – me taking pictures every other second…haha..
Well, wishing everyone a great Thanksgiving and don’t forget to take part in my Worldwide Korean Language Books Giveaway if you haven’t already!! You had a really wonderful time! I haven’t been there yet. I want to visit there with my family someday. Thank you for your informative posting. Yes, I did!! 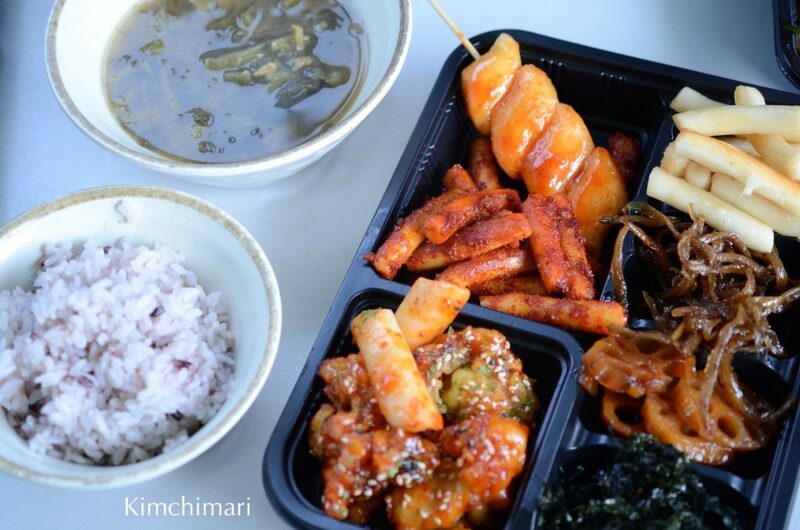 You should go – definitely try the kireum tteokbokki. 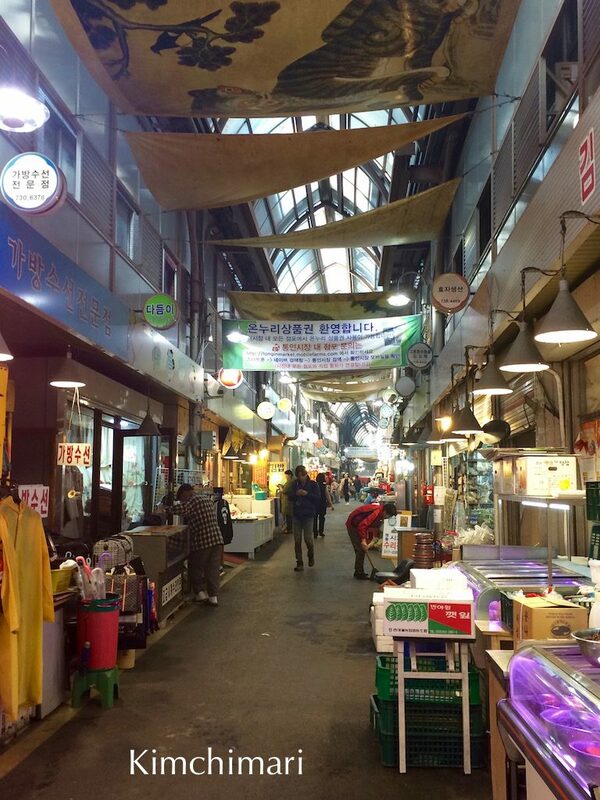 Also make sure you visit the seochon area outside of tongin shijang. Lovely cafes and little museums. 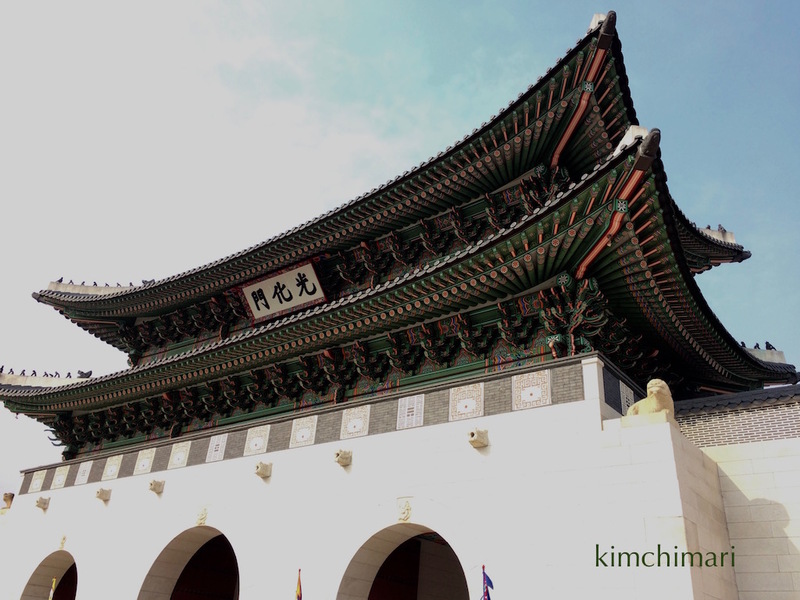 You must visit 서촌재 – it is very small but cozy and has a wonderful curator who will invite you to tea if she likes you^^ I would have loved to buy some things from there but a little too expensive. Thank you for visiting!! Take care my friend!